García’s contribution to Skulptur Projekte Münster’07, a work inspired by John Gay’s XVIII century opera, The Beggar’s Opera, later adapted by Bertolt Brecht as the The Threepenny Opera. García worked with three actors who played the character of Charles Filch, a beggar who wandered Münster interacting with citizens and tourists. The actors functioned as catalizers, collecting and distributing information, entering into dialogue with people or triggering actions. 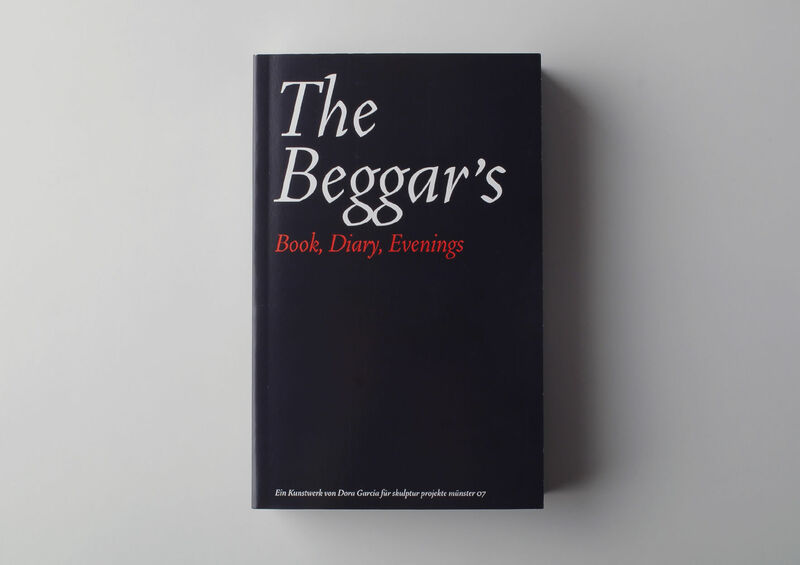 The book contains the diary Charles The Beggar Filch kept, and a selection of his routines, “The beggar’s evenings”, held at the Metropolis-Kino.